Statistically, Canada is one of the largest energy producers in the world. At the same time, the nation is also one of the highest energy consumers (per-capita). As such, the future must be secure and sustainable with respect to both energy production and energy consumption. And while this outlook presents many challenges, there are also countless economic opportunities. Natural Resources Canada works with government agencies (federal and provincial), as well as industry partners, to address the energy needs and challenges of the nation. As well, there is a concerted effort to explore new policies, new practices, and new technologies. 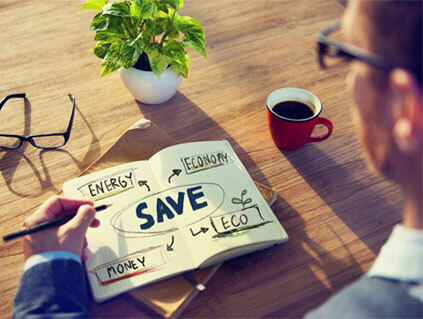 The long-term objective is to create measurable benefits - environmentally, economically, and socially. Energy Modeling makes it possible to create a computerized model of a building design that will accurately estimate its annual energy consumption. With proprietary software, an Energy Modeling Specialist will use relevant information and data about a building in order to create a unique energy “profile”. As much information as possible is input into the special software. Once all of the data is crunched, the software generates a detailed approximation of how (and how much) energy is being used throughout a building. 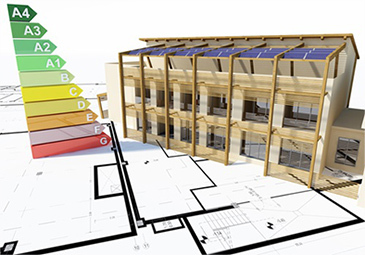 When Energy Modeling commences early in the building design process, various energy efficiency options can be considered, and building design alternatives can be implemented (allowing for the most energy-efficient options). Today, there are numerous innovative software tools available to industry professionals, including engineers, builders, planners, and architects. Sophisticated modeling software allows for energy project analysis that can be instrumental throughout the building design process. Intelligent software platforms enable professionals to identify and assess options for boosting energy efficiency and implementing renewable energy alternatives. More importantly, software allows decision makers to realistically evaluate actual, as well as ongoing energy performance. In some cases, performance compliance with the National Energy Code is assessed. 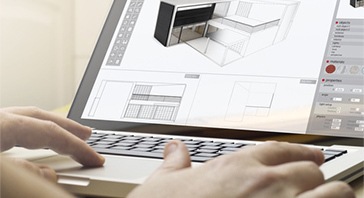 Where a design application can deliver 25% more energy efficiency, everyone wins. This could involve solar heating options for public swimming pools; optimization of heat pump systems in larger scale buildings; and even energy efficiency retrofits for multi-unit residential buildings. In fact, energy analysis software can be equally as effective is assessing single-family housing units. As accredited Energy Advisors, Barrier Sciences Group operates within the policies and practices of Natural Resources Canada. BSG is a team of building science specialists, taking a “retrofit” approach to energy modeling and building design. Employing highly specialized software, BSG uses energy modeling protocol to assess existing buildings. The objective is to demonstrate options for improvement, and recommend retrofits to optimize energy efficiency. Whether it’s a high-rise residential building, or an expansive industrial facility, the idea is to reduce energy consumption, decrease operational costs, and improve the bottom line. With BSG, when assessment is complete, reporting is reliable and unfailing – an ideal prescription for decision makers to consider and implement necessary retrofits. The overriding goal for any building owner is resolve energy-efficiency failings and deliver benefit to all stake holders.